Easy engine access from either cockpit sole or under helm seats. Regularly serviced and used lightly but regularly and very very clean! This particular boat is extremely well looked after. Everything is just so clean you'd struggle to believe she ever goes out but she does regularly. The canvas was all replaced in 2016 and the tender and outboard in 2017 and she comes with her original owners handbook and all manuals. 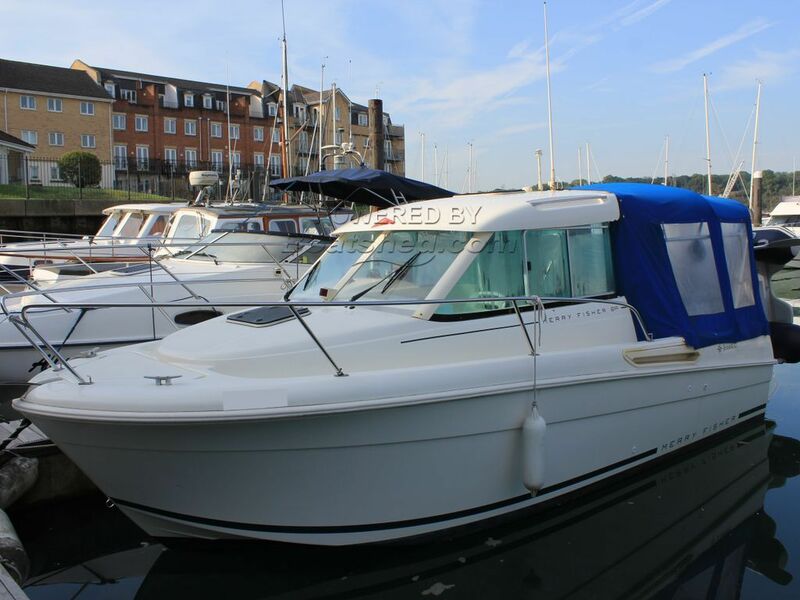 This Jeanneau Merry Fisher 655 Cruising has been personally photographed and viewed by Corinne Gillard of Boatshed IOW. Click here for contact details.